Convenience services operators can’t afford to sit still as Amazon Go and a host of other technology providers introduce automated convenience stores. Amazon Go, an unattended store that uses artificial intelligence, biometric identification, smart shelf technology and cameras, allows shoppers to take items from shelves and leave without having to check out. The shopper’s credit card is charged as they exit the store. 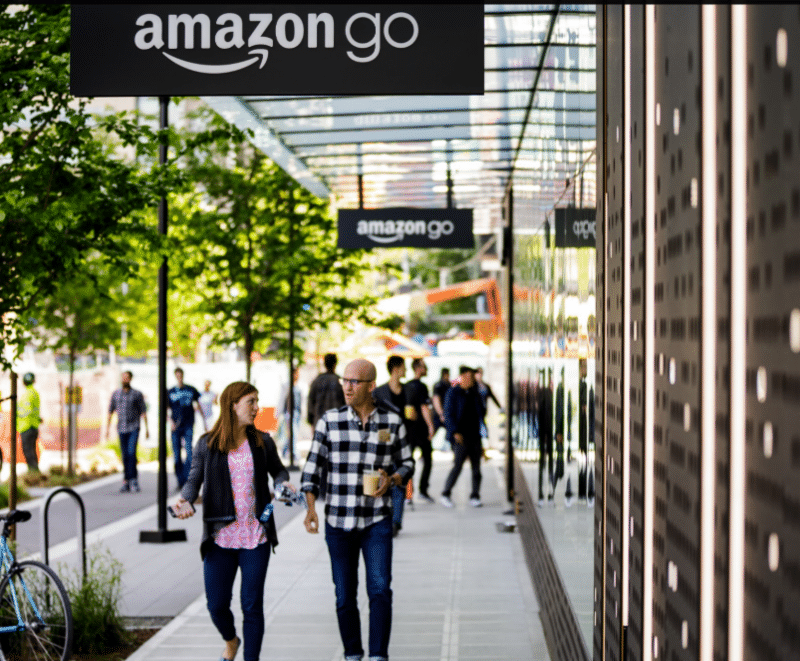 Since Amazon Go debuted in late 2016, technology companies with similar concepts have emerged, five of which explained their benefits during a session at the recent NRF Big Show in New York City. The unattended stores are similar to micro markets, the difference being that where a micro market sits inside of a building, the unattended store is usually a building unto itself. Some of the technologies presented during the NRF show could, however, be used in micro markets. Amazon Go was cited as a competitive factor to vending and refreshment services during a technology panel discussion at the 2017 National Automatic Merchandising Association (NAMA) show in Las Vegas. Some vending machines on display at the NAMA trade show demonstrated similar “intelligent shelf” capabilities. There were five automated checkout presentations at the recent NRF show: AiFi’s NanoStore, Focal Systems Inc., Zippin, Maxerience and Caper. The NanoStore, an automated store that uses artificial intelligence, was described by Steve Gu, co-founder and CEO of AiFi. While the Amazon Go store is built into the ground, the NanoStore is mobile. Gu explained that the artificial intelligence supports product recognition and real-time customer tracking. While he did not reveal numbers, Gu said the investment in NanoStore can be recovered in under one year. Focal Systems Inc. uses computer vision to capture product information and eliminates the need for the customer to scan products one at a time, said Francois Chaubard, company CEO. In addition, product recognition cameras attached to store shelves monitor store inventory. Chaubard said the automated checkout boosts the speed of checkout and reduces product shrink. Zippin uses modular shelf sensors that require no wiring for existing stores, according to Krishna Motukuri, co-founder and CEO. He said the technology can accommodate stores that are much smaller than Amazon Go stores. He also said the investment can be recovered in under one year. Maxerience offers a technology designed to prevent out-of-stocks by connecting retail shelf information to product distribution houses and manufacturing facilities, according to Pradeep Pydah, CEO and founder. He said the technology does not require any changes to a store’s infrastructure. Caper offers a “smart cart” for existing stores that includes a camera that captures images of products that are placed in the cart, according to Lindon Gao, co-founder and CEO. A touchscreen on the cart displays the purchases. The customer then pays using a card reader attached to the cart. Gao said the investment can be recovered in 10 months. While automated stores “raise the bar” for refreshment service providers since they represent new competitors, vending and micro markets still hold the unique advantage of offering products where people work. Juan Jorquera, founder and chief operating officer at Vagabond, noted during the NAMA panel discussion that vending machines and micro markets are already at the location, so they provide faster service. For more information visit Amazon Go.